Maximize the intensity, longevity and brilliance of your eyeshadow statements with our eyeshadow primer pots. 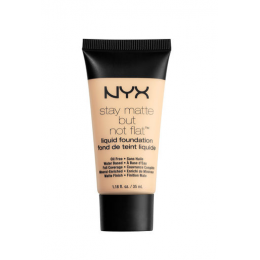 Each of the NYX Professional Makeup Eyeshadow Bases creates a smooth canvas for color,..
Stay Matte But Not Flat Liquid Foundation provides full coverage with a mineral enriched matte finish and accommodates more skin tones than ever before. The oil-free and water-based formula is per..